Few genres manage to unite people from all walks of life like a good racing game. Whether your preference is for outlandish fun or intense realism, the vast collection of racing titles available for iOS and Android is great. However, one of the latest titles that amazed with their graphics and gameplay is the Truck Trials Driving Challenge. What is Truck Trials Driving Challenge? Truck Trials Driving Challenge is a new arcade monster-truck racing challenging for your smartphones. This game will take you to an extreme off-road driving challenging with many enchanting surprises. This game is not just the test of your driving skills but also it is about testing your problem solving skills as this game includes some puzzle situations that you must have to solve to reach the finish line. Take care of you fuel and steering controls and do not let this monster truck to fall into the river. 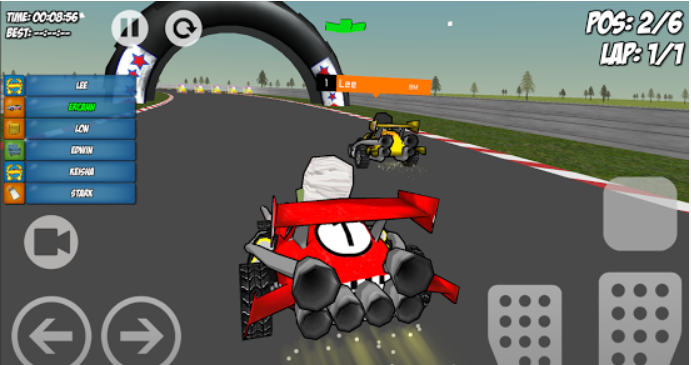 In the game, you will have to collect the three fuel canes present through your way to the finish line. Enjoy your journey through bumpy and rough track and prove yourself the best driver. The game brings many exciting levels and to moves to the next levels, you must have to complete the ongoing level. Remember that as you move further, the game get more challenging and only a smart mind can get through these challenges. To enjoy this full featured game free on your Android or iOS OS devices simply tap the recommended links present at the end and let the fun begins. Check out the video too, to feel the game and decide whether it is the right challenge for you. Though passionate global users have gone through several ninja sonic runner games on other devices over the years, there will always be the one special ninja game that keeps coming back to experience good aspects. 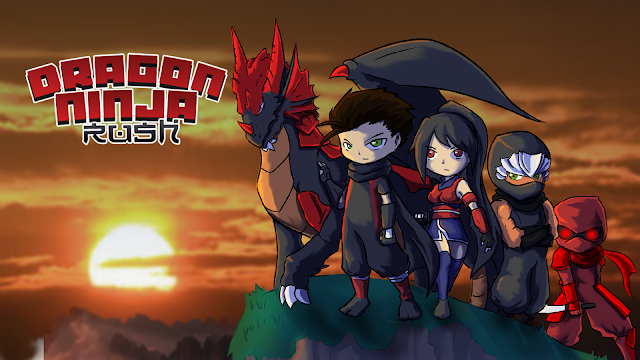 We are here to present a review for a new game app, Dragon Ninja Rush. What is Dragon Ninja Rush? 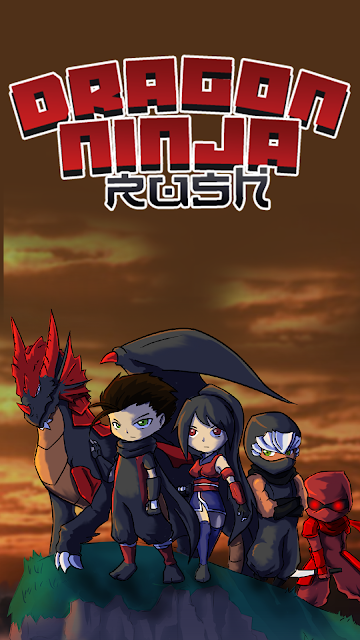 Dragon Ninja Rush is one of the specially designed fighting games for benefit of global players. The look of the game comes in an attractive comic look. The environment is beautifully, crafted and even moves partially dynamically; the characters and monsters look cool. The animations of the player character are fluid and comprehensible. You control the Ninja over 2 buttons. The left button lets the ninja slip over the floor. Use the right button to jump. If you are in the air, you can press the button twice to perform a double jump. This is also necessary in many situations because many abysses are far too wide to be, bridged by a normal jump. Jumps must also be well timed, so as not to crash. The background music is just as action-packed as the gameplay and motivates playing. You get a good flow when playing. The players must be attentive and tap the buttons in time to make the character jump over obstacles or slide under them. One should not forget to dodge shurikens, overcome abysses, and get through thick sharp bamboo and other relevant obstacles. To uncover more features of this game simply download this game app without any cost for your Android or iOS OS devices and bring the never-ending fun to your devices. You can find the direct download link to this game app at the end of this helping review. If you love Match 3 games and equally love shooting games, then you will love to hear! 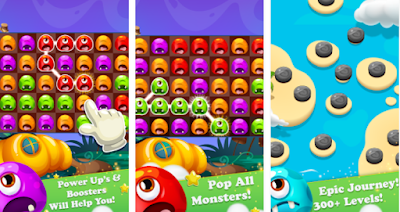 We have brought you a new game app, Pop My Monsters that is absolutely for you to give you the most challenging, entertaining and strategic games play. What is Pop My Monsters? Pop My Monsters is a smash game but here in this game you play to pop monster faces, as it is clear from the name too. The game brings more than 300 levels of addictive and challenging levels. In each level, you have to beat the time to reach you objectives and clear the level. The game is quite easy to learn but difficult to master, as you have to take quick decision to tap the series of monsters face and eliminate as many monster faces as you can in single tap. So what you are waiting for? Have it today for your iOS or Android OS devices and have fun. Direct downloads links to this game app are present at the end of this helping review. There are so many Trump-themed games out there. So. Many. Even a search for Trump's Democratic foe, Hillary Clinton, will only result in a handful of Hillary-themed games (that query will even just return a bunch of Trump games). Making no judgments on his politics, perhaps this trend of Donald Trump mobile games is fitting. If you’re looking for a fun and addictive Trump-themed game for your iPhone or iPad, you’ve came to the right place. We have just the one for you – a cool game called Tiny Trump. Presented with fantastic design and interesting sounds, this game will certainly glue your hands to your iDevice. All you have to do is download the game and help tiny Trump in his narrowing adventure climbing his tower. Just tap on your display in order to go up and collect as many coins as you can on your way. The higher you get, the higher your scores will be. But don’t worry, if you fall off the tower you can always press restart and have fun all over again. Tiny Trump is completely free of charge and it can be downloaded from the App Store. Don’t forget to show it to your loved ones! Nowadays if we surf through the app markets, there are apps for everything. The expensive communication box (or MP3 player, if you have the iPod Touch) can make fart sounds, help you learn a new language and even turn your photos into cartoon stills. In addition, it can help you get in shape or maintain a healthy lifestyle—for much cheaper than a personal trainer or nutritionist. To get you started, we roundup with the best health and fitness app for your Android named, PocketFitness. PocketFitness App will deliver everything you need and nothing you do not for an effective bodyweight exercise routine. Get off to a fast start with readymade workouts in whatever difficulty level you need. 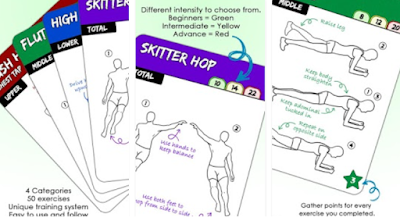 You can also design a personal workout if you want to PocketFitness App uses timers according to the type of workout you choose, such as circuit training. This app helps you to keep your body fit. Start getting abs and muscles by doing it daily. Following these daily-based workouts, arranged category wise to give you an ease to follow. These plans will make you feel stronger, healthier, improve energy and control weight. These workout Exercises benefits every part of the body and you do not need any equipment for the workouts. Chrome browser is one of the most popular ones thanks to its rich number of options and extensions that make your web browsing faster and easier. 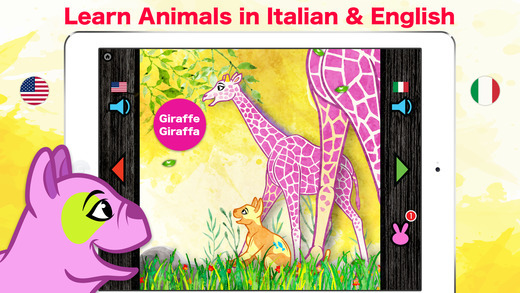 There are thousands of them in Chrome Web Store. Let us have a look only at the best Chrome extension we have selected for you. We are talking about Sendtu. 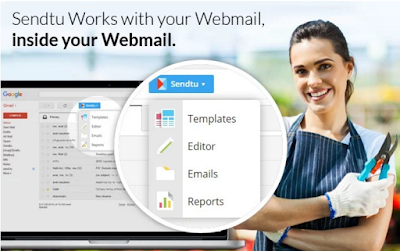 Sendtu is an extension that helps you for your marketing campaigns regarding your businesses with tons of ready to use gmail email templates. This extension works with Google chrome browser and it let you to carry out your marketing campaign by using your existing Gmail id or Google apps id. The app comes up with best handy tools to execute your marketing and gives you a chance to present your product in the best possible way. The app support templates working with HTML5 and you can avail the chance to utilize between the collection 100 templates that suits your business needs. It also comes up with powerful editor tool to make personalized templates and you can save these personalized templates for later use. To give ease of use this app sync with your Gmail contact list to manage your contacts for marketing campaigns. In addition, you can manage and create multiple contact lists by adding contacts anytime. 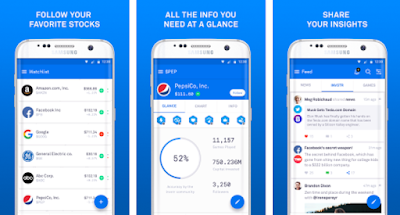 This app is presently available free for devices supporting Google chrome browser and is the best way to advertise at your best. You can find the direct download link to this extension at the end of this review. Puzzle! Yes, Puzzle! What we do every day, what we left and what we have in the future, everything is just a huge and amazing puzzle. That’s full of with million, billion, or trillion small puzzles. Really touching, but it’s true. It’s so interesting and you can feel that when you really think about something like a puzzle. Think! like, you’re playing a Puzzle Game on your Android or iOS device and trying to solve a puzzle match challenge using your analytical thinking ability. One thing you should know about it that playing puzzle game is a great booster to improve your analytical ability. 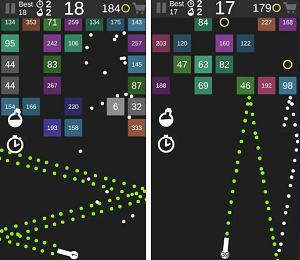 So, if you are searching for a game that will boost your thinking and enables you great entertainment, you should try out – Numplussed. We are sure you will love it, since we play it for 4 days straight each day it gets better and better. 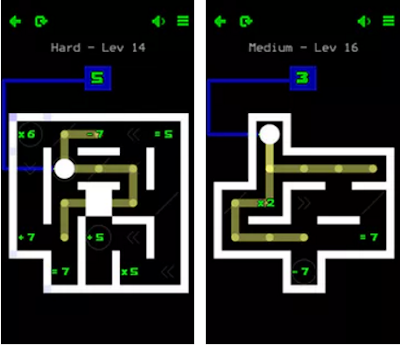 This unique puzzle maze game for iOS & Android, made by Ian Finch (Codeulike Games), a veteran of the 80s/90s BBC/Acorn game scene, will truly challenge you with hundreds of levels and combinations. The gameplay and what is required from you is simple: just visit the numbers in the maze to get the right total for the equals sign. However, there will be twists along the way with blocks and challenges, especially in the later stages. While playing the game, expect intuitive touch-and-drag movement (if you already know the right maze, you can draw it and Numplussed will do the rest. At its core this is a minimal retro graphics that put the puzzles in the foreground. Expect more than 125 free levels with 300 more and a 'Neverending Tier' level pack that consists of 300,000 procedurally generated levels as an in-app purchase. Try your math puzzle skills with something truly amazing. Get it for free on your Android or iOS device. If you go to watch a game and not have, electronic scoreboard on the field no longer have to use pen and paper! 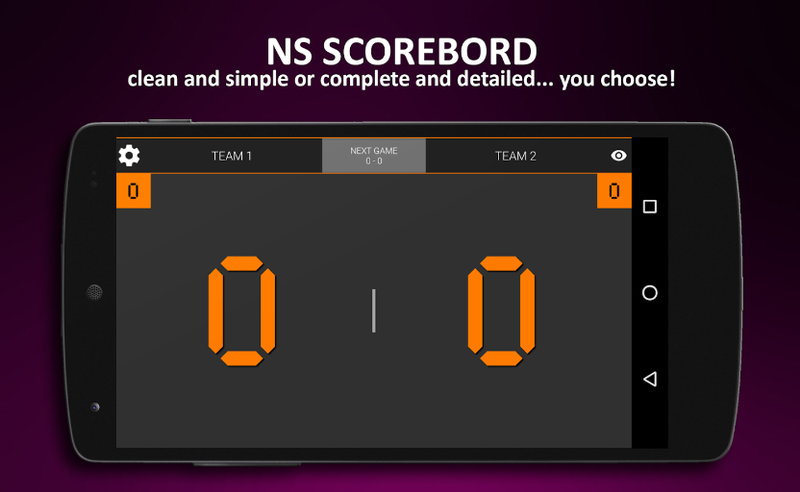 With this application, NS Scoreboard (for any sport) will control the outcome of the game at all times. 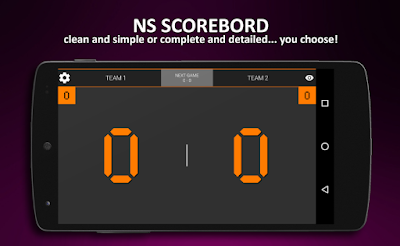 This app makes scorekeeping simple, replacing the score pad in your family games or local competitions. With this app, No more need for pen and paper. It is a simple Score Board to keep track of Sports Scores like Basketball, Volleyball, Badminton, Billiard, Pool, Snooker, Hockey, Table Tennis etc. Also useful for keeping track of any other 2-player activity, board game scores or casual games like tic TAC toe or cards. 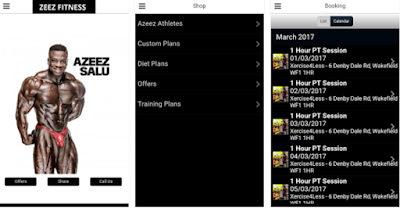 The app allows you keep track of Sets (0-9) and Points (00-99). It also shows the current time and stopwatch timers. It features Quick buttons that enable you to reset the Points and Sets separately, switch sides and reset the team names. The app brings personalized setting to meet every sport’s need and lets you to analyze the stats of both teams by clearly visible graphs. Using this scoreboard app is quite easy for anyone. Swipe Number up to increase count, Swipe Number down to decrease count, Click on a Team Name to change it or Press the relevant buttons to perform various actions. This app provides the ultimate solution for all of your scoring need. Grab it today free for you android devices. You can install it on your device without any cost from the link present at the end of this helping review. Racing against all odds has always captivated me like very few other games. The joy to leave everyone behind or prove that you are the fastest is unbeatable, Never shy to back down from any challenge when it comes to hard-core gaming, I thoroughly love setting a milestone at all hazards. If you have the penchant for blazing speed, these games should take you for a long ride. Are you willing to take them for a test drive? Here you go! We have a review for new game app, Minion Kart. Minion Kart is the incredible kart racing 3d game you have ever played! It is the game full of racing action with easy controls to steer. Therefore, put your Helmet and take the control of your karting! Touch the arrows on the screen to move, left arrows to move, right arrows to jump with super breaks to help you handle your kart perfectly in curves. Through your way collect gold coins to unlock new karts and more… the only thing you should have to be careful about is the other cars as striking, with these can reduce your speed and racing position as well. Have the chance to race in best environments with real racers around the globe. Try to get the first position and win the gold whereas to unlock more levels with endless fun. The game comes up with many racing mode to take out the real race mania out of you. It also gives you the feature of leaderboards where you can compete with your best results. So what else you need? Come on grab it today free for your android and iPhones today. 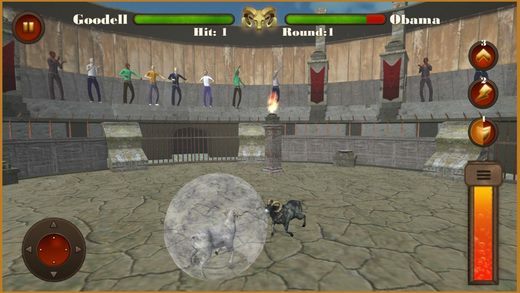 Direct download links to the game app are present at the end. The Miner is a cool adventure Android game that can offer hours of laid-back gaming. Your goal is to help the cute squirrel, panda, pig and monkey to keep digging and digging, to help them find the treasure and keep them safe from the angry snake. All you have to do is press and hold your finger on the screen and move it to the right and left, to change the direction of the miner accordingly. "Great game, unpredictable and fun"
If you want to make a message or saying to be more memorable, you need to make it more "eye-catchy". However, designing is a complex process. It involves things like typography, shapes, color combination, composition etc. You do not have to think this! Let Motiv8 • Insta Quote Maker Add Typography on Image app handle the process and you just choose the results. What is Motiv8 • Insta Quote Maker Add Typography on Image? 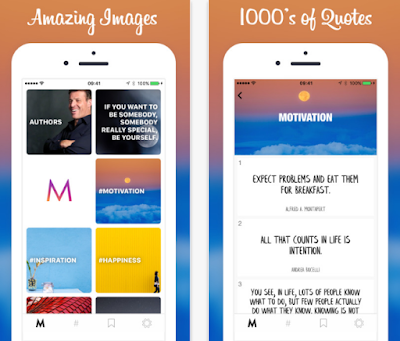 Motiv8 • Insta Quote Maker Add Typography on Image is something to inspire you for the day and enhance the way you post on your social media account. A daily dose of feel-good quotes is a sure way to help you energize. In addition, it allows adding these quotes to your pictures in few easy steps. The app is, filled with handpicked motivational quotes, famous sayings, and inspirational words from prominent people. Choose an inspirational saying from the well-categorized quotes. Upload your picture you want to be edited with quotation and add the quote you selected , now you can choose the styles, text fonts and other filters to apply to the text, Use hand gestures to resize, move and rotate these elements around in the frame. You can also add the filters as per your choice to enhance the colors of your picture or to give it a touchy look. Motiv8 • Insta Quote Maker Add Typography on Image is probably the best way to get bite-size treats to satisfy your and your loved one, a thirst for positive vibes. The direct download link to the app is present below; install it free, to your iOS devices. MirrorMirror has already attracted established bloggers from USA, UK, Spain, Russia, India, The Netherlands, Singapore, Poland and Nigeria. To compare photos side by side on Instagram, you had to first edit two photos together, requiring a third-party application – making posting a lengthy process. The more commented or liked an item was on either Facebook or Instagram made it more confusing as to the true out-and-out favourite. Most disturbingly the potential of trolling was a constant threat. Working with Amsterdam development company Moqod, the task was set to create a simple-to-use, safe, engaging, social environment where people could ask for opinions without fear of backlash and get a definitive result for their dilemma. 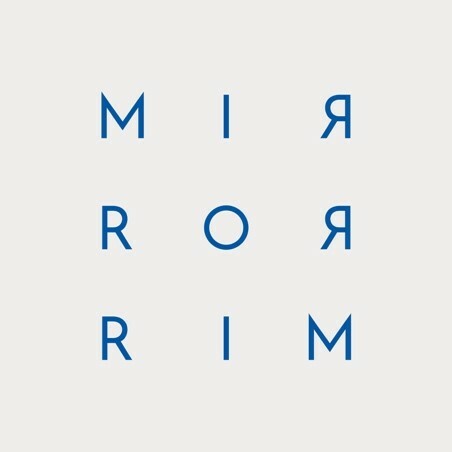 In addition to the social aspect MirrorMirror also uses a team of stylists to collate some of the most on-trend items from leading high-street and designer brands. Seen something you like? Simply click to ‘Buy it now’. Need advice? Want feedback? Ask MirrorMirror. Watch the MirrorMirror Explainer video here. Download the Press Kit (including logos and screenshots) here. Visit the MirrorMirror website here. Stay connected with MirrorMirror on Facebook, Instagram and Twitter. In the 21st century, an online service has the potential to garner hundreds of thousands of hits if it is social networking enabled. Networking is the key. Now after a decade of connecting with real world friends online, people suddenly have the desire to befriend strangers. 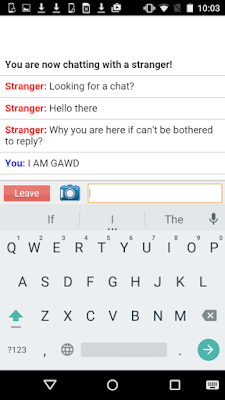 There are quite a few online chat services that help people to connect with random strangers irrespective of their geographic location and we’ve rounded up some of the best and chose one to share with you today. 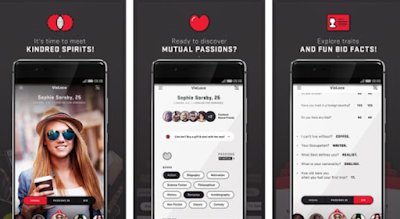 The name of the app is iMeetzu, a huge platform and community chat service to pair up random strangers, available for all Android users from all around the world. It is created by Wired Web, Inc. and compatible with both phones and tablets. The interface is smooth and friendly and the graphics, simply outstanding. With the iMeetzu app you can start chatting with random strangers from all around the globe, instantly and for free. 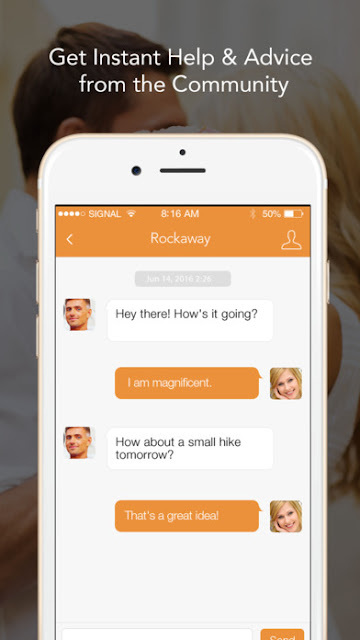 You can talk, flirt, meet and make new friends, have fun all day long, and much more. This version even features an image uploading/sharing option. Connect with other people by download this incredible app from Google Play. Like we said, it is free of charge! Investing is one of the best ways to make money. By being smart, taking a few risks, and by knowing the market, you can easily earn yourself a ton of money that you can use for all kinds of things. Many use it to build them a retirement fund. 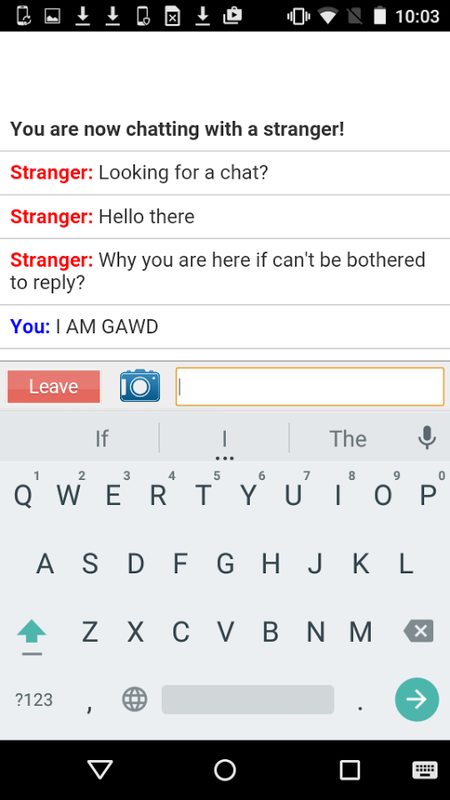 It is tough to get into, but we think these apps can help. Here is the review for one the best investment and stock exchange game simulation, Invstr. Investing in the stock exchange or have information about stocks now with Invstr is as easy as one, two, and three. Simply create your portfolio and add your buy and sell transaction and Invstr will do the rest of the job. Invstr supports equities on the NASDAQ, the NYSE and the TSX stock exchanges. Invstr supports portfolios in different currencies. · Get readout on how a particular position is performing. Track how much a Sell transaction really made or let us show you the dividends you received. · Automatically track and inspect your portfolios worth, considering currency exchange rates, stock value fluctuations, splits, and dividends. Download it free today on your Android and iOS device and have the best tool for your Stock investment. Making games for touch devices has been somewhat of a journey for the video game industry. It was not always clear what sorts of games or control schemes made sense, and adapting existing genres has produced mixed results. However, one genre had little to no difficulty in adapting to this brave new touch world – adventure jumping games. Their unique suitability stems from the fact that there is almost no difference between point’n’click and touch’n’click controls. Here in this review we present you the best adventure game, Adventure Quest Monster World. What is Adventure Quest Monster World? 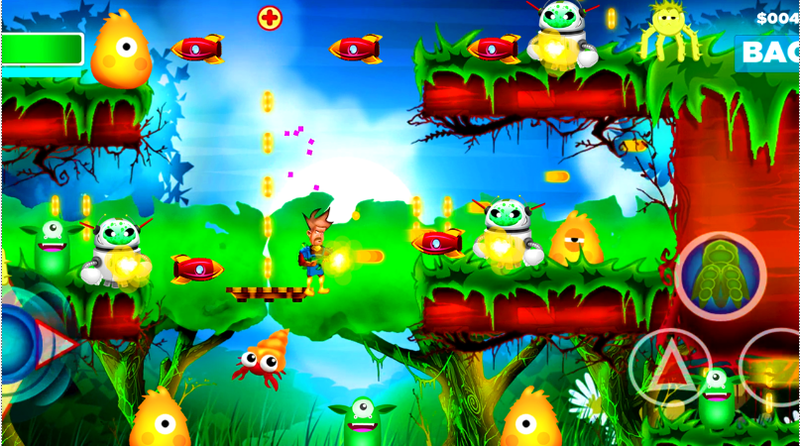 Adventure Quest Monster World is an exciting classic platform game full of adventure. In the game, your aim is to guide the scientist who is famous for his research in guns to kill the monsters. The way is full of risk and challenges that is why you have to take each step with great care. Collect coins that come in your way to boost you gameplay and to defeat the monsters. 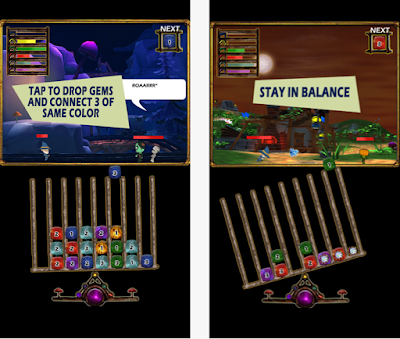 The game presents you various environments like snowy lands, jungles and much more. All of these game worlds comprise several levels and to reach the next level you have to clear the previous. In order to reach your destiny you have to get through different difficulties and as you move, forward in the game the difficulty level increases. The graphic are classic and the music is adventurous type that will make your game even more adventurous. Fight the bugs use super powers and rescue the cute little princess. Download this game free for your Android from the link below. Do you feel the urge to refresh your mind during the day? What about a little challenge then? Arcade games are a perfect pick for taking a break from the daily grind, and just as well, they are often a great fit for pocket-sized devices due to their emphasis on brains and strategy rather than games with flashy graphics. 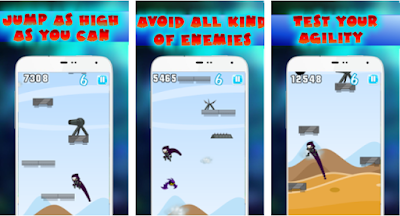 Sure enough, the app market is absolutely, stocked with great options and helps you with the best choice we have found a platform jump game that you can find by the name, Jumping Ninja. Jumping Ninja is an amazing game from the arcade genre. It is an addictive game, which once you start you never leave it. Play to boost your reflexes and hand to mind coordination. Jumping Ninja is very challenging game having varying level of difficulties. Jumping Ninja is simple game. Doing nothing, more just tap the screen. Depend on your skills that how far you fly your ninja-man and how many hurdles you cross how far you travel your ninja and how many obstacles you crossed you improve your high score. Jumping Ninja has attractive HD graphics with beautiful sound and you can control audio by settings. 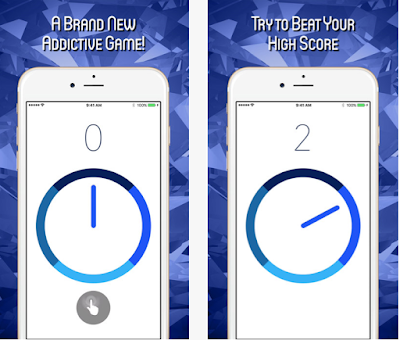 When you start the game it is, easy to play but when your score increases the ninja moves with more speed and here it requires more focus to record your new high scores. 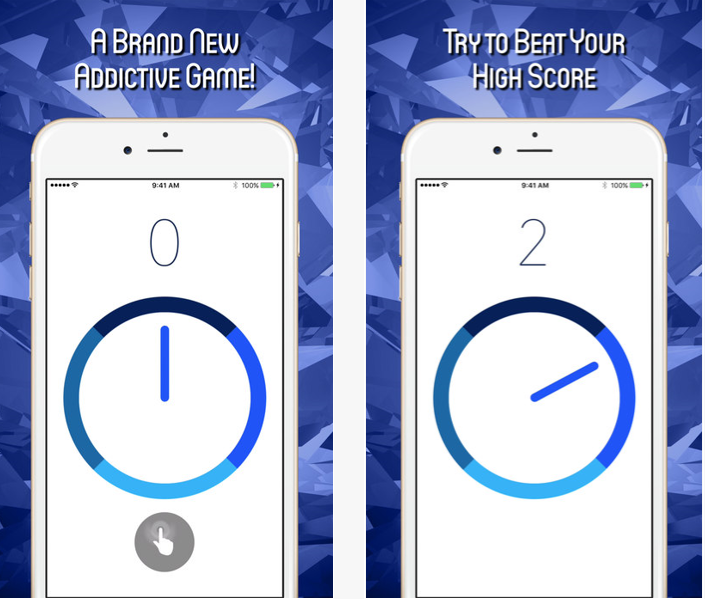 Share your new high scores with your friends and family to challenge them. You can also compete on the leaderboards and track your score progress from the home screen by accessing the leaderboards. 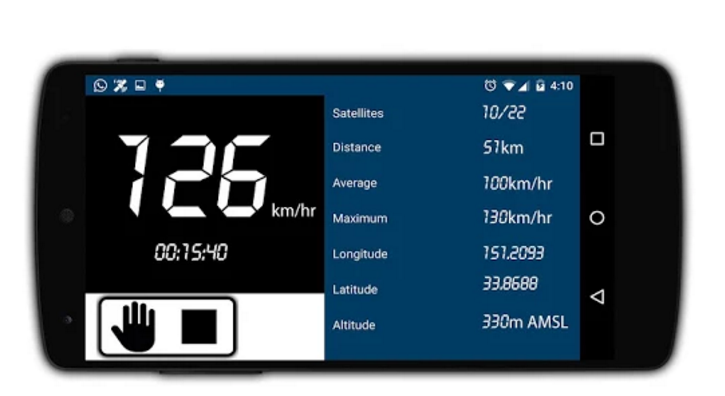 Do not hesitate to download, as it is the best time killer, and available for Android OS devices. Click the recommended store link below to have it for your device without any cost. 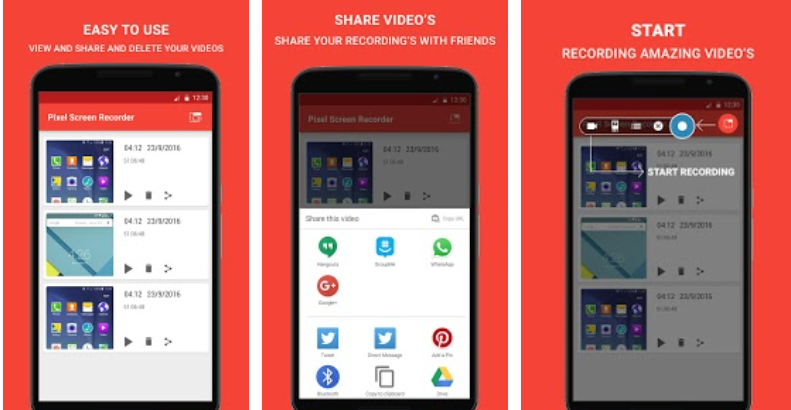 Optimize Your Android Smartphone with Phone Cleaner Pro. An android device like a computer or a laptop has many different hidden processes always running in the background but unlike a computer or a laptop, instant user access to these processes is not always possible. Cleaning Apps take care of these hidden, background processes and kill idle processes that eat up memory space. In the following review, this time we have chosen an app, Phone Cleaner Pro (a cleaning app for your smartphone). What is Phone Cleaner Pro? Phone Cleaner Pro offers great tools to optimize performance and usage of your Android device. On the Home screen, the free cleaner app indicates the percentage of resources including storage and memory used on your device. You are able to save these resources and optimize your device performance with these four tools, namely Garbage clean, Memory Boost, Auto start Manager and Apps Manager, all contained in one app. The smartphone photography is what now everyone is depending on rather than carrying a camera. 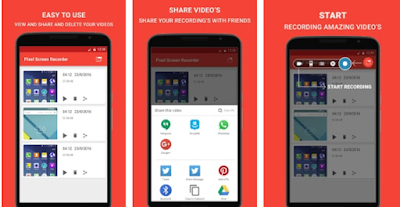 While taking family photos, selfies, and recording videos; there is a need of good photo management app rather than the stock gallery app that comes built-in with the smartphone. There apps available in the app market that can go beyond just displaying the photos and to help you out in getting the right one we are here with a review for an app, Snowloop: Search Photo Gallery. What is Snowloop - Search engine for camera roll pictures? 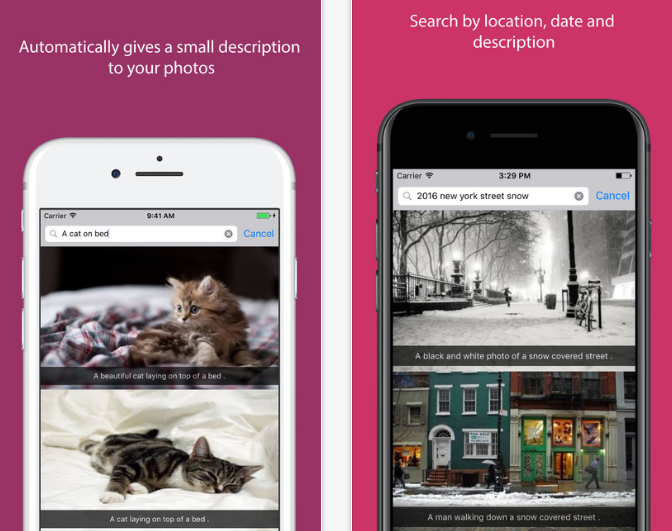 Snowloop - Search engine for camera roll pictures makes your photos and videos more accessible and searchable to you. You do not have to scroll endlessly and no worries if you forget your documents or want to look for a specific photo of your most dear moment just search for them in our app and save your time. It is a standalone photo-search application, which can help you search through clutter of photos on your device faster. You can synchronize safely to Snowloop, and it is always in your hands to choose when to erase your data from our server. Photos will always stay private and inaccessible to the outside world. The app uses Artificial Intelligence algorithms, which automatically describes the event happening in your images. Snowloop App then uses these descriptions to search for what you query. After searching the photo easily share it on various social media platforms or send it through email. The photo management app is available free for both iOS and Android OS devices and you can have it directly from the link present at the end of this helping review. Scheduling and better organization of your life is one of the key to better productivity. That is why this week we have an Android and iOS scheduling app that will be of extreme help. We are talking about Moiety. 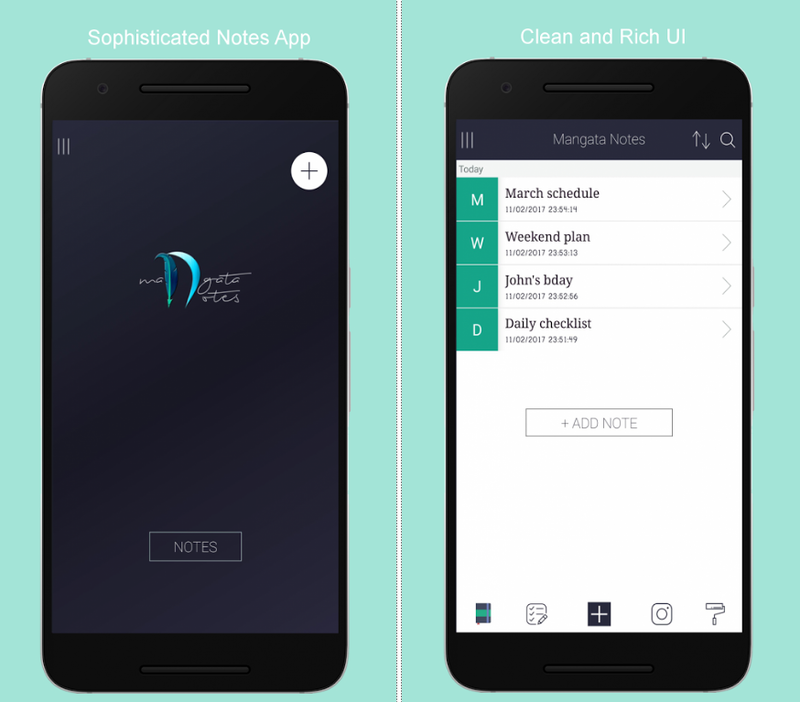 Moiety is an amazing productivity app on the iOS and Android platform, designed in a very elegant and beautiful way, with clean user interface and various features for every phase of your life. Although its primary target is co-parenting, this app is useful for anyone who needs easier and simpler schedules. Just because a billion humans do, something every day that does not mean it is easy. There are grocery stores across the globe packed with shoppers. Many of them are struggling. They are forgetting things they made a note of that morning, walking down the same aisle they have browsed three times already, and making many impulse buys. There is time, money, and gas down the drain, and they still do not have all the food they intended to buy. This whole seat of the pants thing is not working. It is time to think of a plan of action. You do not have to use your smartphone to help you remember things, but you know it works. Therefore, to help you get started we are here with an app, Simple Grocery List App. What is Simple Grocery List App? 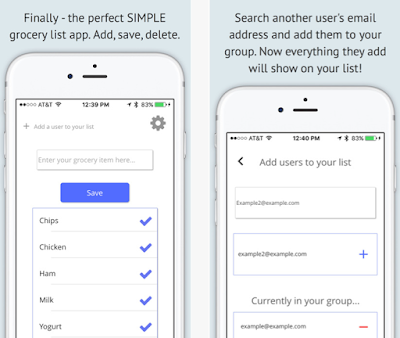 Simple Grocery List App is our favorite app for shared grocery lists. It is well, designed and easy to use, it makes shopping for groceries simpler and convenient. This grocery app keeps track of your items behind the scenes, and presents those used most frequently when you want to add one. It also comes loaded with the most common grocery items, to help speed up your input. Check off items as you add them to your cart. Delete items individually, or the entire list at once or Rearrange items as you see fit, after all, you know your store best. With just one tap, you can check off the items that you picked out and it sharing option brings your more easiness. 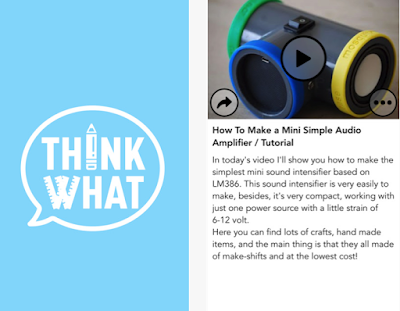 Within just few tap add other users to your group, you can add users by using their emails. By adding users to your group you can also see the list they have shared, the sync list are available on the main screen. The best part of the app is that it is completely free and there are no monthly or yearly subscription charges. 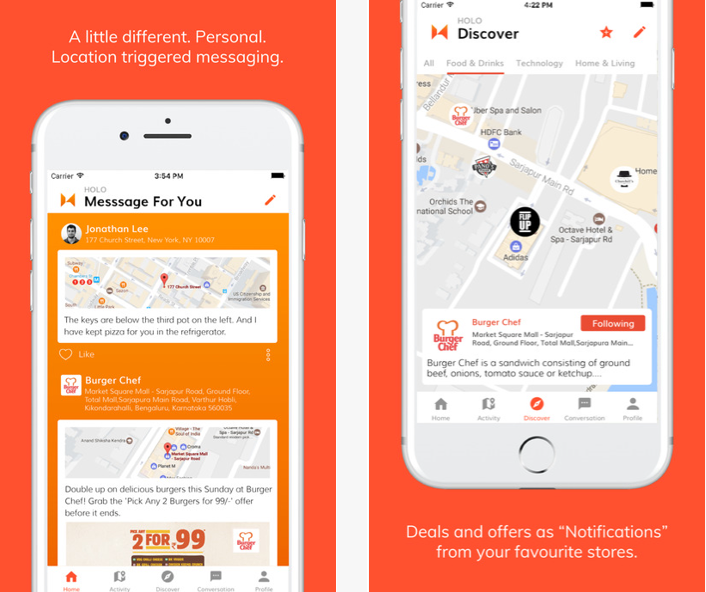 Have it today free for your iOS and never miss anything while shopping. You can find the direct download link to the app present at the end. To deal with the sickly sweet elephant in the room: no, Candy Crush Saga is not included. Not for reasons of snobbery, but rather because surely anyone with an interest in playing puzzle games on their phone will know about it by now. Candy Crush Saga’s popularity shows the appetite for small-screen puzzling, though, so what else is available on your smartphone or tablet to stretch your brains? 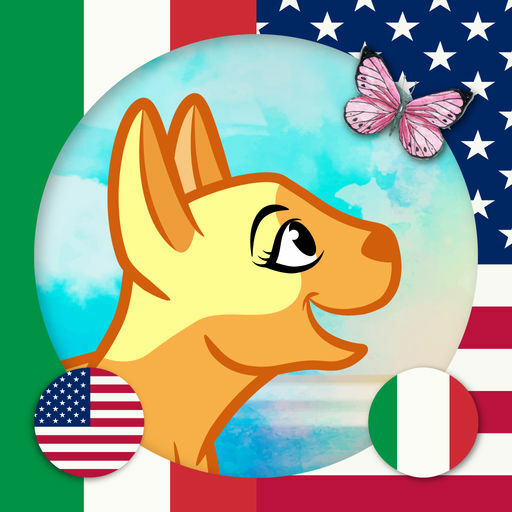 Here are in this review, you will find something more like that as we have chosen a game app, Leverage – Connect 3 Balance Battle for your smartphones. 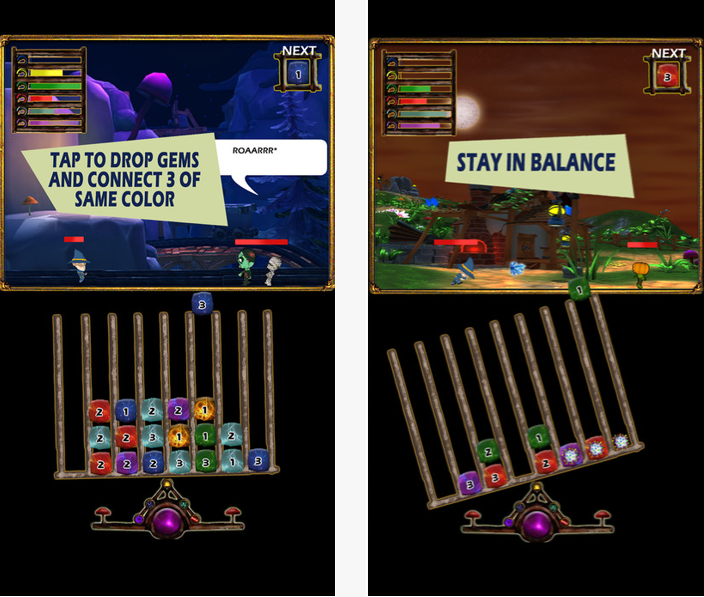 Leverage– Connect 3 Balance Battle is the physics based puzzle game with a gameplay based on the theme of balancing the scale present on the game screen by the help of weights. Primarily, Leverage – Connect 3 Balance Battle looks gorgeous. From the evocative cover illustration to the beautifully sculpted miniatures, everything about the game is a treat for the eyes. 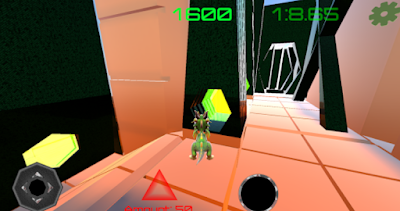 Score chase mode: In this mode you can play until you keep the scale balanced and I this mode you have to score the maximum possible points. By taping the scale for both modes some colored blocks would add to the scale and you have to manage weights on both sides of the scale and avoid the scale to hit mushroom present below the screen. Overall, this game offers the best puzzling experience for all age groups and you can have it free from the link present at the end of this helping review. There isn’t much you can do for your body that is better than getting in shape, staying in shape, and working out. It lowers all of the bad things (cholesterol, blood pressure, etc) and heightens all of the good things (muscles, stamina, etc). Owning an iOS device won’t do these things for you but our App of the Week – Home Fitness might help you achieve them in the most efficient way possible. Home Fitness - Bodyweight Training Challenge is a health and fitness app that will most-definitely offer great exercises and programs that will have maximum benefit for you. The app is based on Bodyweight training exercises, which means you can perform these exercises at home without any additional equipment. The app is based on 3 programs. When you download the app you get the New Recruit Workout to get you started for free. The other 2 programs are paid. To keep you going and make things interesting for you, Home Fitness offers three workout levels to choose from. Simply, check your progress workout times, average intensity and completed workouts by few simple taps and try to improve always. As you progress you will get awards (that you can share via social media or email) for fully or partially completing your goals. Student life can be a hectic period of time for the parents, what with classes scattered throughout the campus and a wide variety of coursework, readings and homework that can all easily swamp an unprepared student. Moreover, there are some students for whom homework is always torture but no more… as we have found an app for you that is Homework Boom. Homework Boom is a kids educational app that introduces children to the value of money and facilitates the learning process for your kid, a sweet story. The app allows you to reward you kid for completing their homework of getting good grades in their schools chores. 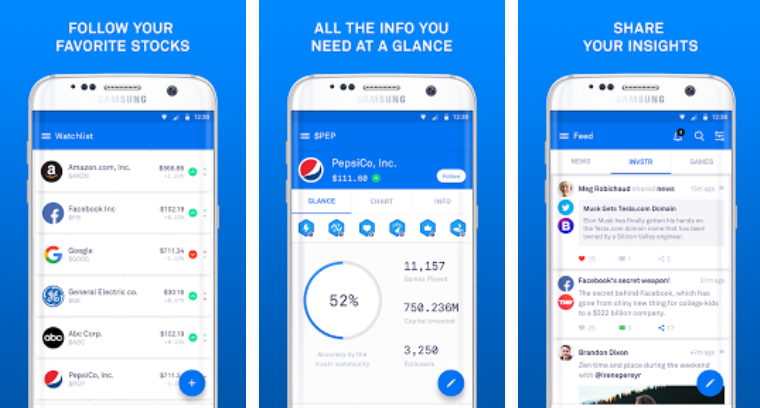 To get started with this app one of the family people should be, assigned as the sponsor, responsible for paying rewards. Sponsor the success! Become a sponsor for your child. Decide on a small amount as support for homework, good grades, improvements or exercises. 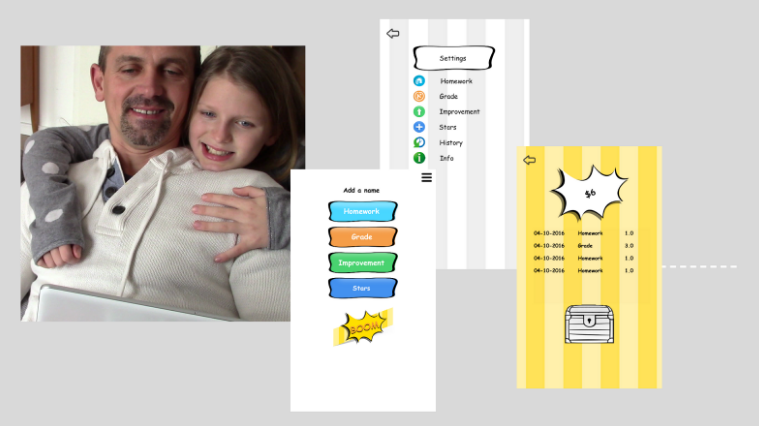 Store everything in the homework boom app. It is very easy and fun. Enjoy the payments together with your child and observe the improvements under the 'History' section. Decide on a small amount as support for homework, good grades, improvements or exercises. Store everything in the homework boom app. It is very easy and fun. Enjoy the payments together with your child and observe the improvements under the "History" section. Learning and homework are fun again. Have this app today for your iOS or Android for just $1.99 from the links present at the end. 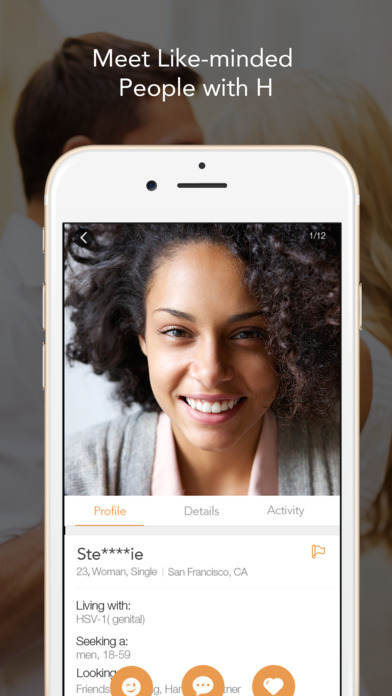 MPWH – “Meet People with Herpes” (HSV-1 & HSV-2) – The Best Herpes Dating & STD Support App for Positive Singles who are living with Genital Herpes & Oral Herpes.